I don't think this is a peacock sole. Peacock soles have white rings around its spots. Oh I see what you mean, my apologies. How do you cook this fish peace? 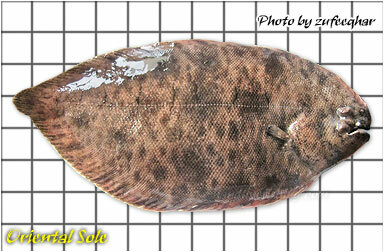 I've never tried a sole fish before, but if it's anything like the flounder you can fry or steam it. The meat quality should be pretty good.